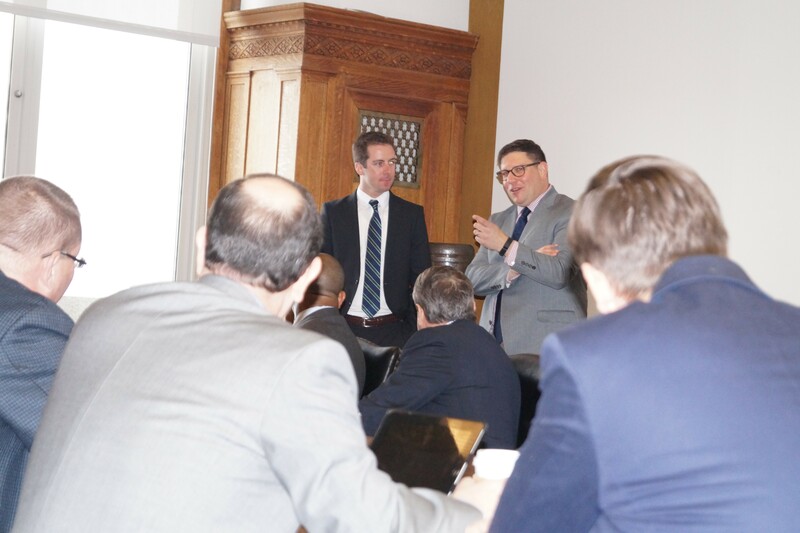 Joe Cimperman gets another big sendoff at Monday's caucus. McCormack (L), says he has big shoes to fill. Former Cleveland City Councilman Joe Cimperman has been charged with 26 misdemeanors as a result of an Ohio Ethics Commission investigation into his conduct involving city contracts with LAND Studio, formerly known as ParkWorks, where his wife Nora Romanoff serves as Associate Director. Cimperman resigned from City Council in January, 2o16, at a time when the fate of the investigation was unknown. 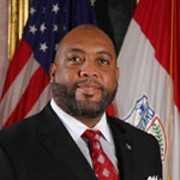 He was replaced by former Ohio City Inc. community outreach guy Kerry McCormack. Since that time, Cimperman has served as the director of Global Cleveland, a nonprofit designed to "welcome international newcomers" to Northeast Ohio. 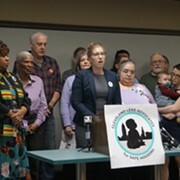 Cleveland.com reported at the time of Cimperman's resignation that the Ohio Ethics Commission had sought correspondence from Ohio City Inc. and Cimperman dating back to 2002 related to projects or services rendered to the city by LAND Studio (and ParkWorks). State law prohibits public officials from using their positions to secure public contracts in which the officials, family members or business associates have an interest. Cimperman's 26 counts are for "having an unlawful interest in a public contract." Cimperman sent the following statement to Scene, as well as other local media. "I am not contesting these charges as part of an agreement we have reached with the state of Ohio. I accept full responsibility for my actions and I apologize to anyone who may have been impacted by this. I look forward to having this investigation and legal process complete. Given that this is still an open case I cannot say anything more at this time." Global Cleveland, for its part, announced Thursday night it would retain Cimperman after a board vote. Cimperman will be arraigned Friday. 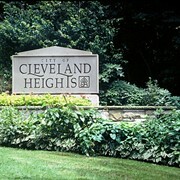 Cleveland Heights Doesn't Elect a Mayor. Many Residents Want to Change That.